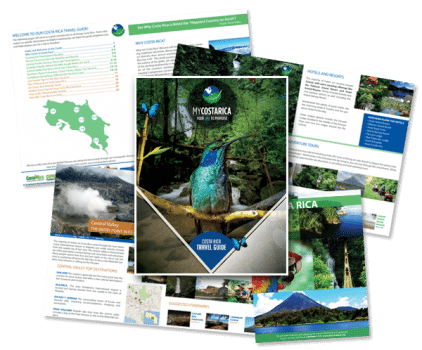 "Get your free Guide and have a one of a kind Costa Rica Vacation"
What’s inside the Costa Rica Guide? Inside the Costa Rica guide, you will find the reasons, Costa Rica is such an awesome Vacation spot. We direct you to the best of the best attractions and top destination to visit in Costa Rica. Also, we offer advice on what tours you could try out during your stay in one of the most diverse countries in the world. Let us help plan your next trip to Costa Rica. 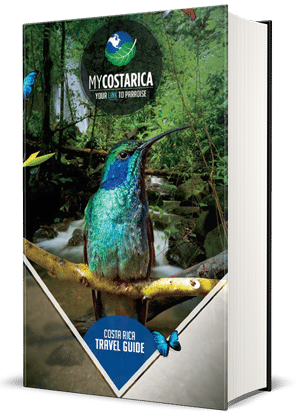 Costa Rica is such a unique country to visit, and we have put together this guide especially for you. Within this great little country is expounding diversity. 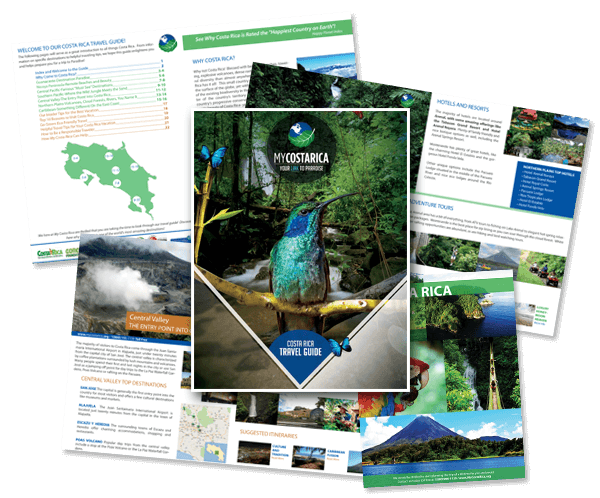 You can experience it first hand and find out about it within the Costa Rica Guide. Take a peek inside and see why a vacation to Costa Rica will be a life changing moment. They don’t call it the Rich Coast for anything. Your dream activities matter when you want the best vacation. We can help you with that. Let us guide you to the most exciting things to do in Costa Rica. Whether that is zip lining through the jungle, or Swimming on gorgeous beaches.